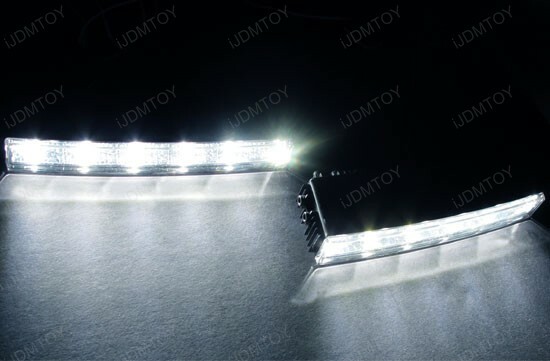 We have another incredible Christmas deal this year on the Audi style 3-chip 5050 15-SMD LED light strip. 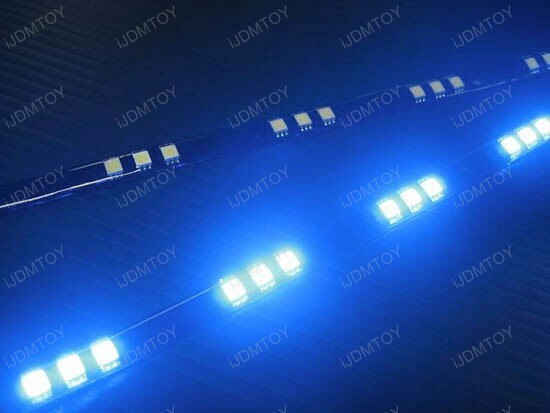 This LED strip light features 15 super bright 5050 SMD LED lights grouped together in threes so the light is more intensive. 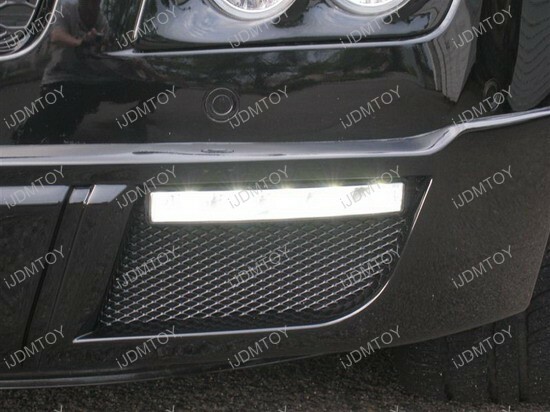 This 12 inch long LED light strip can be used for decorating headlights, etc. Best of all, it is on sale for $15.99 – ten dollars off the original price. Install these with the self-adhesive 3M back. Then visit our website tutorials on the Do-It-Yourself Resources for more ideas on how to install these. And take advantage of our other special Christmas offers by using the shop over $100 code SANTA10 and get free shipping and save an additional 10% off! 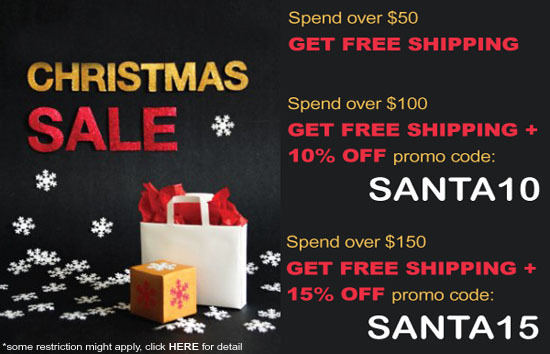 Purchase over $150 and save 15% off, on top of the savings already given, plus get free shipping! One of our customers sent us pictures after he installed blue LED interior lights on his Infiniti G35. 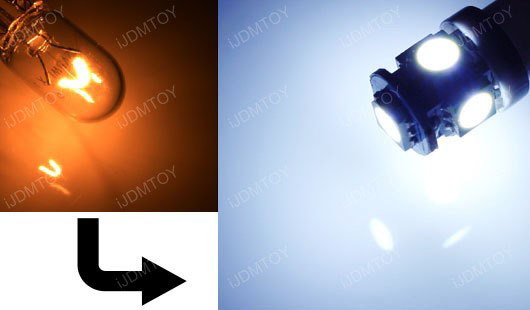 The D31mm LED bulbs fit D31mm housings and can easily be replaced. Depending on your car, your model may use either T10 or D31mm housings, be sure to check. The bulb he installed is the 6-SMD LED panel light. 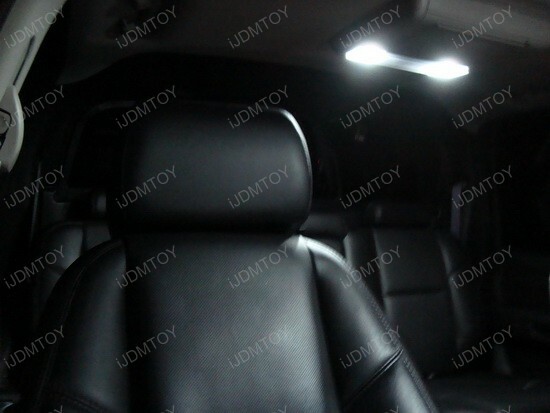 Most customers that have installed this immediately notice these 5050 SMD LED panel lights are brighter than other 6-SMD LED bulbs they’ve had. 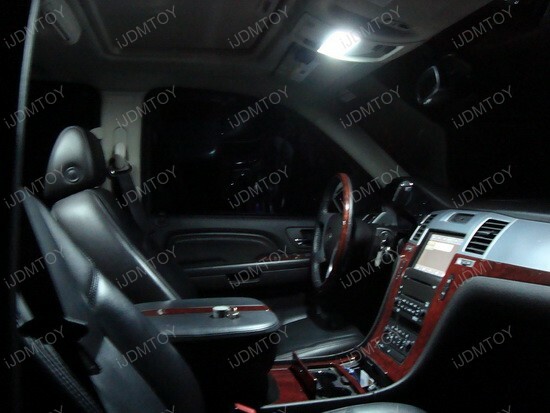 You can light up the interior and enjoy uncompromising LED light from these 6-SMD LED bulbs. 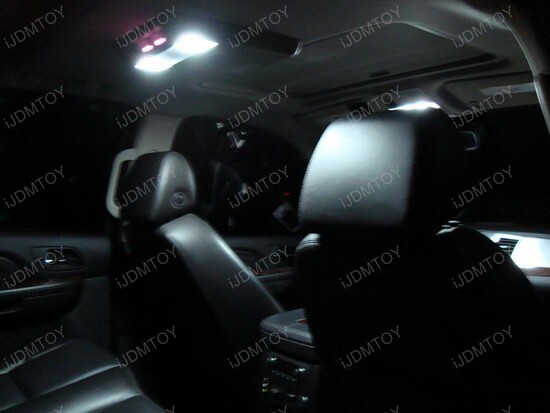 A customer recently installed the iJDMTOY LED Interior Light Package in his 2009 Cadillac Escalade for his interior map lights and dome lights. 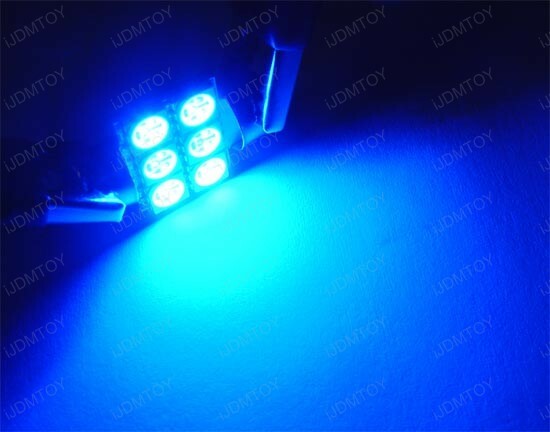 These LED are super bright, wide angle shine SMD LED bulbs that are two to three times brighter than conventional LED bulbs and four to five times brighter than stock filament bulbs. In addition to a brighter light output, the SMD LED bulbs last ten times as long as stock filament bulbs. We have included some pictures below for you to see. 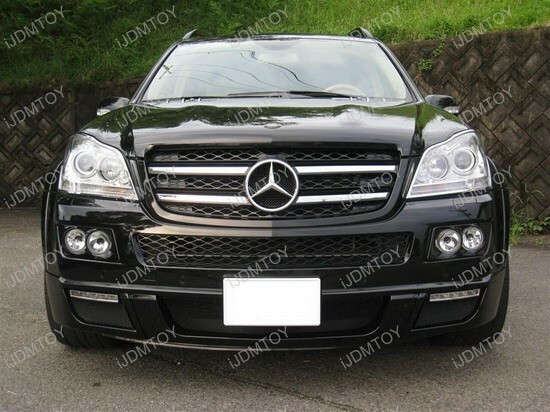 Our customer from iJDMTOY purchased Error Free LED bulbs for parking lights and eye lid lights on his 2010 Mercedes Benz GLK-350. 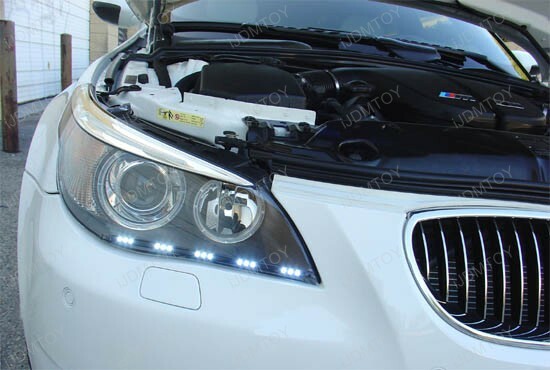 He used Xenon White 2825 LED bulbs on both eye lid lights and city parking lights to replace the stock yellow color. 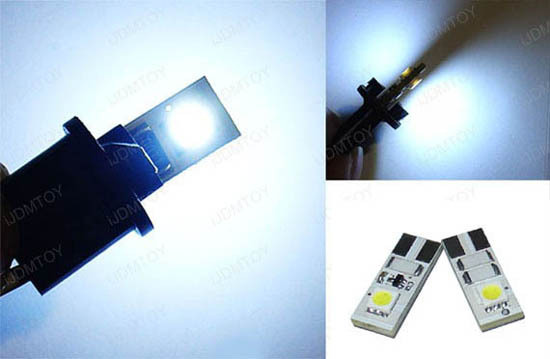 The 50-50 SMD LED bulb features two high power LED pieces on both sides of the chip and come with a built-in load resistor for the error free quality you see here. 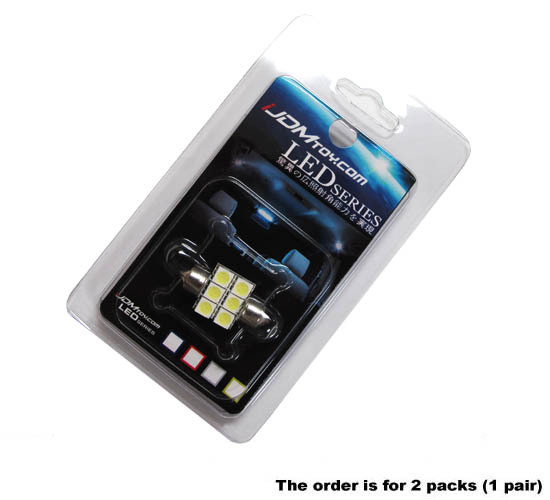 These T10 2825 LED bulbs will replace stock 168, 194, 2825, 2821 or W5W bulbs. 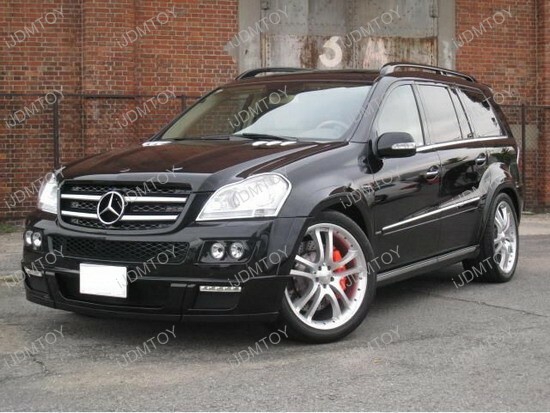 Use them for Audi, Mercedes, BMW, Porsche, Volkswagen, and other European vehicles. For a complete showroom of our products visit Gallery Pictures and Videos. DIY tips are available at our Tech Support Guide. 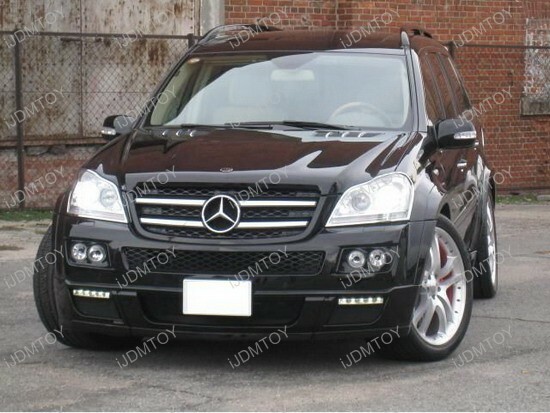 Find all your LED Car Lights and Automotive LED lighting needs at www.iJDMTOY.com. 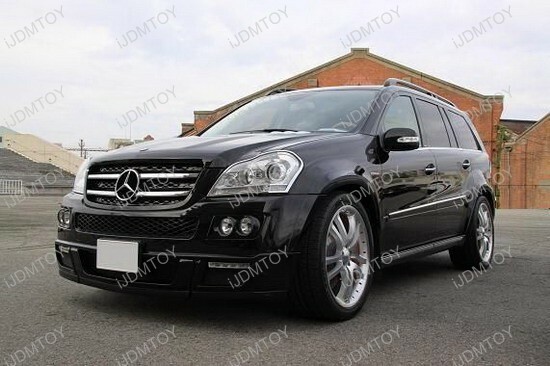 A customer of us kindly shared his pictures of his 2009 Mercedes GL450 installed with iJDMTOY Hella LEDayline Style daytime running lights (5-LED Daytime Running Light Kit). 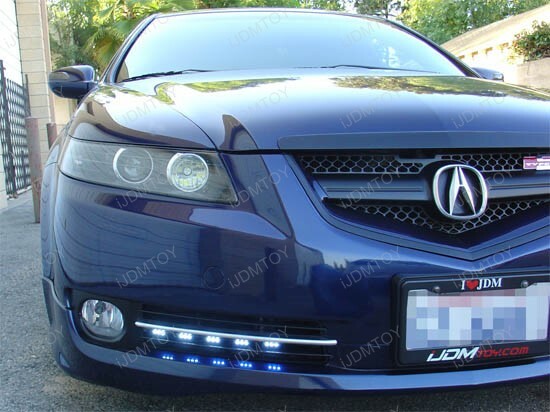 His customized look was completed by these super bright Euro LED driving lights. 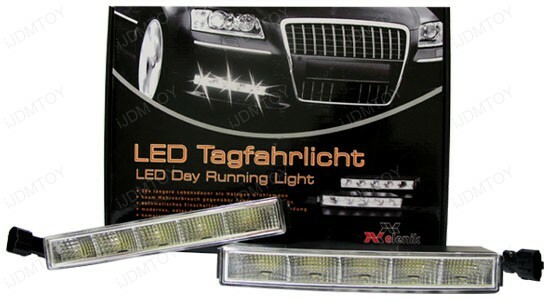 This universal fit LED daytime running light kit comes with a DRL relay harness, and an ultra-slim design for easy DIY and installation. 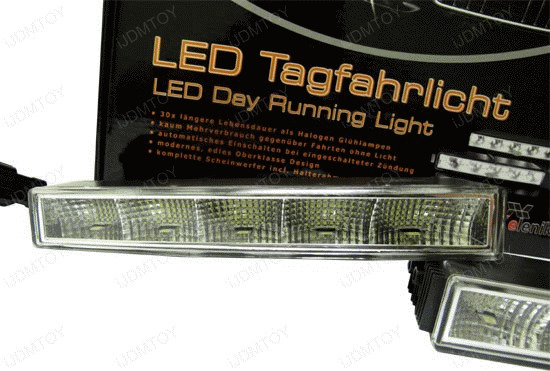 Featured product: Xenon White Hella LEDayline Stylish LED Daytime Running Lights (DRL). You can see more pictures at the Gallery or visit the Tech Support page for DIY Guides. 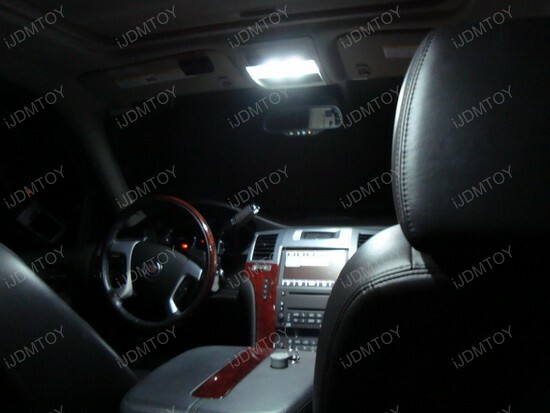 As always, iJDMTOY delivers the latest car LED products with the quality customers can count on.